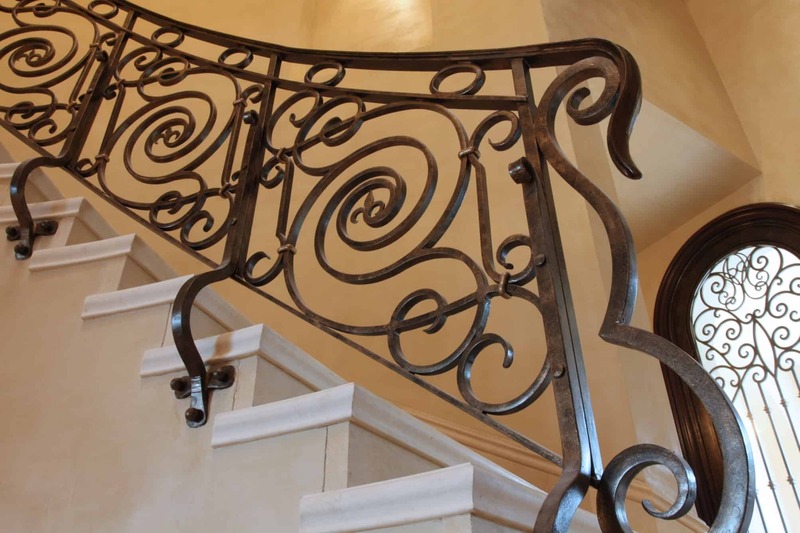 We have an extensive line of designs for your stair rails that can be applied to spiral stairs, curved stairs, and straight line stairs. 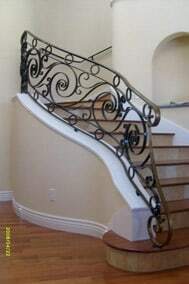 We can modify and create new designs to capture your design feelings. 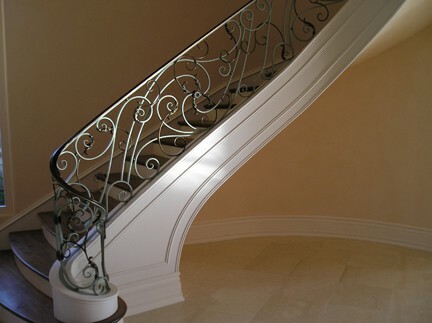 Our aim is to create a stair rail that will make you feel proud to have it in your home. 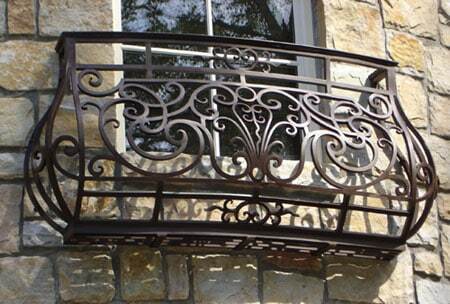 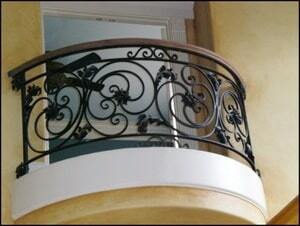 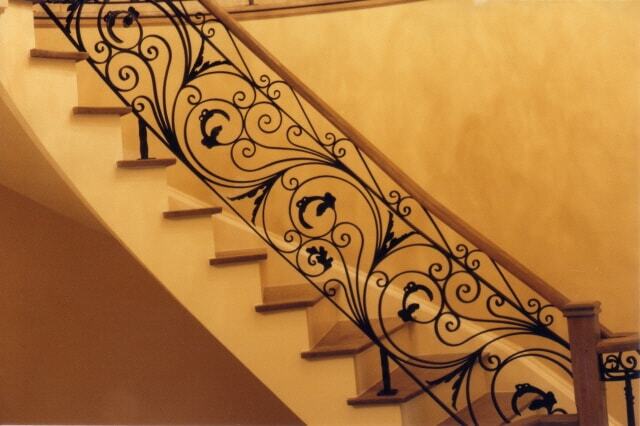 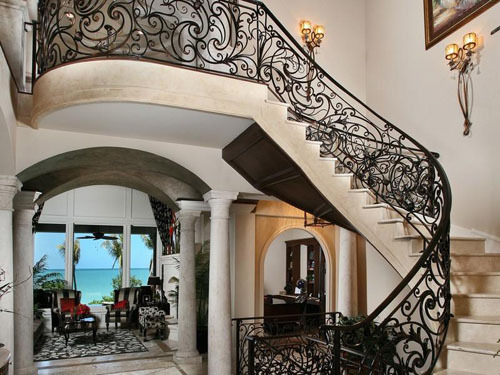 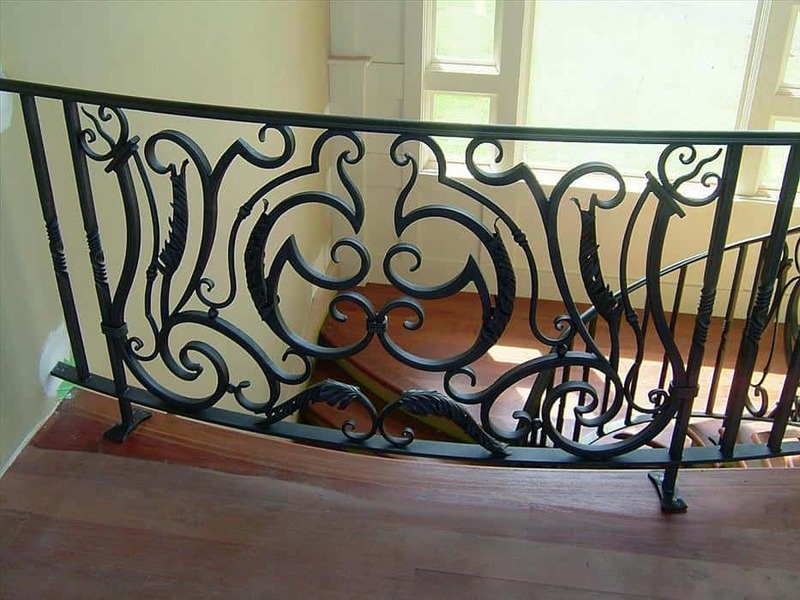 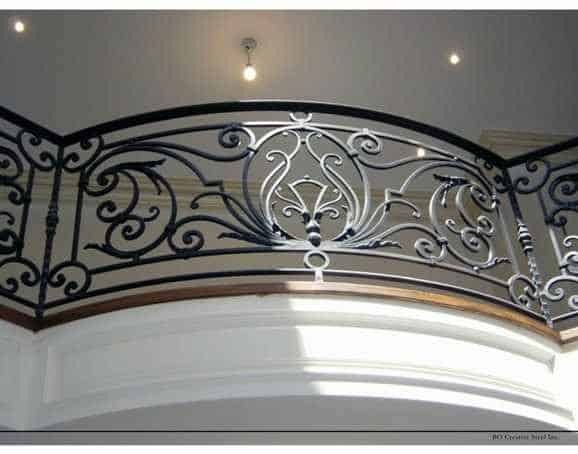 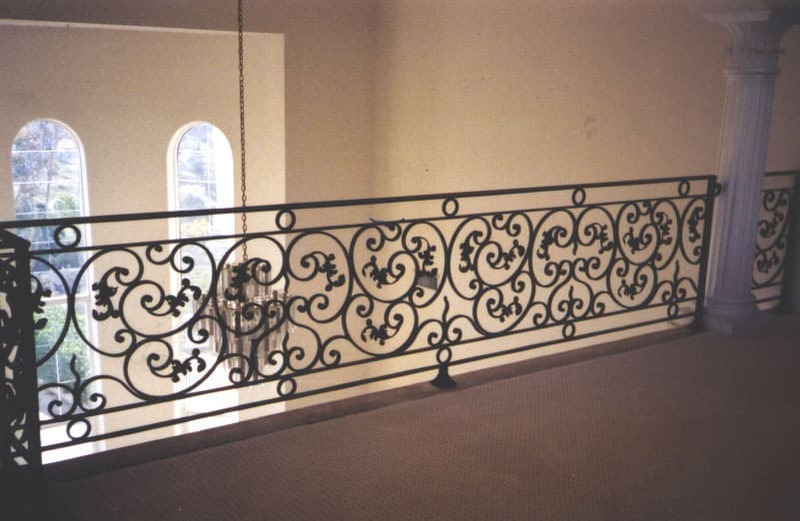 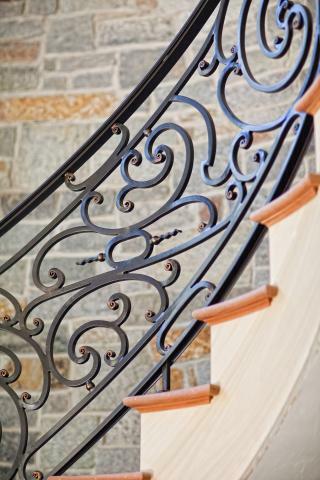 You will immediately notice the elegance of forged iron surrounding the perimeter of your home. 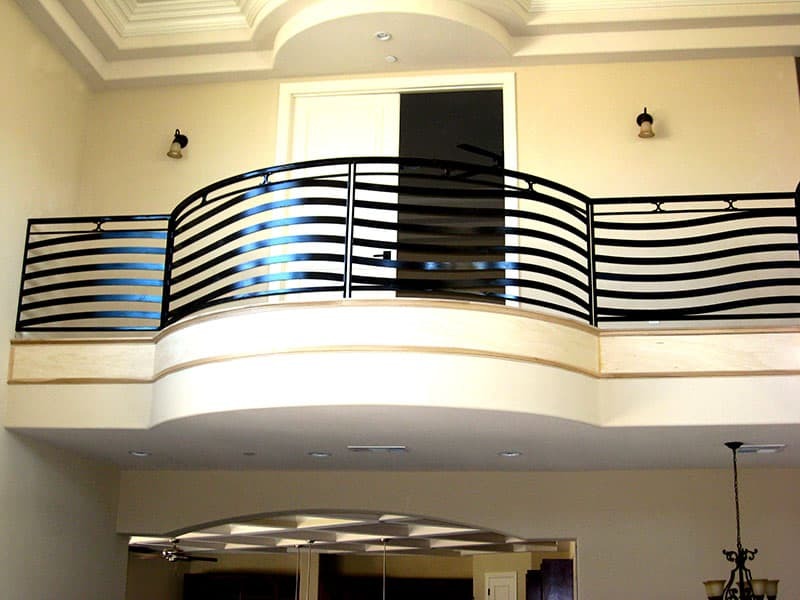 Our finished outdoor rails should not only complement, but bring out the beauty of your home for many years to come. 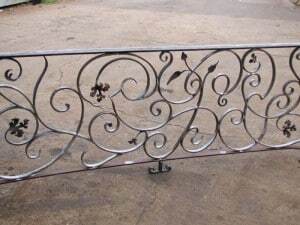 Our Challenge is to restore the confidence in the blacksmith by those who notice the difference between the original and the copycat.